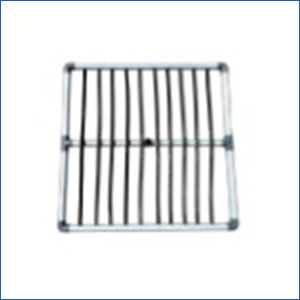 AirOxi Diffuser grid is a standalone product for aeration in aquaculture ponds. It has a built-in blower and requires just one electrical connection is ready to be used. So there is no separate blower or installation required. It is as simple as turning on a switch like you would in a paddle aerator – only this is much more efficient at aeration and the power required is just 0.5 HP as compared to 2 or 3 HP in a paddle aerator. The floating body makes for easy maintenance. The Diffuser grid is available in options of single phase or three phase blower. And also the body can be either MS with powder coating or SS304. AirOxi Diffuser Grid is made with sturdy fittings and piping to give it a long life and excellent aeration properties. It is the ideal aeration solution for aquaculture ponds. Inf act it is an aeration system or an aeration solution that is entirely self-sufficient and does not need expensive piping or external blower.